Mindfulness Based Stress Reduction (MBSR; Kabat-Zinnn, 2003) is a meditation-based treatment program applied to diverse clinical conditions. It seems that MBSR improves attention, nonjudgmental attitude and focus on the present. Nonjudgmental attitude may be related to an emotional response. Emotional resonses are linked to the emotional brain, particularly with the amygdala. It has been demonstrate that the response of the amygdala to negative distractors in a sustained attention task is better in experienced meditators (Brefczynski-Lewis et al., 2007). In normal life, negative distractors tend to focus our attention on the future more than in the present. For example, if I am studying for an exam, my fear of fail on the exam, disrupts my sustained attention on what I am learning. At the same time, my attention jumps from the present to the future. There is a big difference on studying for achieve or pass the test, and studying for learning. In the first condition, you will need a big attentional effort because your motivation is clearly in the future and not in the process itself. The process itself always happens in the present. It can not always be ensured that you will pass the exam with a mindful brain. DO NOT TRY WITH RELAXATION MUSIC. DO NOT TRY IN YOUR BED, BEFORE GOING TO SLEEP. YOU NEED TO MASTER THE EXERCISE BEFORE TRYING IT IN VERY BAD DAYS. Esta entrada fue publicada en Mindfulness, Psicólogo Online y etiquetada como ADHD, Adolescent, Anxiety, attention, Brain, Brain Hemisphere, Children, cingulate cortex, conscience, development, Dyslexia, learning disorders, meditation, neural systems, prefrontal cortex, telepsicologiainfantil.net, Telepsychology, tempoparietal junction. There are two styles of meditation. The first, is to try to focus our attention on a single object. The second is to monitor our attention in a moment-by-moment experience. Both of them could be viewed as an attentional training and a possible way to cultivate our well-being. Focused attention meditation is not a passive work. You must constantly and actively monitor the quality of your attention. You must constantly and actively monitor the quality of your attention. 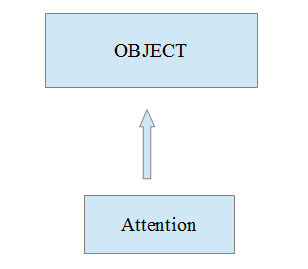 In our normal lives, attention jumps from an object to object, without any work. Monitoring implies to recognize that attention wanders away. Then, you must consciously refocus your attention to the chosen object. Conflict monitoring (cingulate cortex, prefrontal cortex). Selective attention (temporoparietal junction, prefrontal cortex). Sustained attention (right frontal cortex; prefrontal cortex). SIT UP WITH YOUR BACK “STRAIGHT RIGHT”. FOCUS, FOCUS, FOCUS ON EXPIRATION. STAY WITH FIVE MINUTES EVERYDAY: AT LEAST THREE MONTHS!! DON’T TRY TO GET THE PRIZE. IT’S NOT A COMPETITION WITH YOURSELF. Esta entrada fue publicada en Mindfulness, Psicólogo Online y etiquetada como ADHD, Adolescent, Anxiety, attention, Barcelona, Brain, Brain Hemisphere, Children, cingulate cortex, conscience, development, Dr.Guilera, Dyslexia, learning disorders, meditation, neural systems, prefrontal cortex, telepsicologiainfantil.net, Telepsychology, tempoparietal junction, wellbeing. In mindfulness practice, we have found two main attentional mechanisms. The first one is centered on focused attention. The exercise consist to focus your attention to an object, usually the object is your breathing. The second one is centered on open attention. The exercise consists of an observation of the mental flow but without any identification; as if you were a mental observer of your own ideas and feelings. In the study of Moore et al., 2012, they demonstrate that regular and brief mindfulness meditation practice improves the capacity of self-regulation of attention. Meditation group perform better on the Stroop test task. Reaction time was better in the meditation group than in the control group. We hypothesized that working of sustained attention could improve inhibition of response. SEAT WITH THE BOTTON OF THE FOOT TOTALLY IN CONTACT WITH THE FLOOR. FOCUS ON TO EXPIRATE WITH YOUR MOUTH. STAY WITH FIVE MINUTS EVERY DAY: MORNING? AFTERNOON? IT DOESN´T MATTER!! JUST DO IT. DON´T TRY TO EVALUATE YOUR PROGRESSSION. IT´S NORMAL THAT NOTHING HAPPENS. Esta entrada fue publicada en Mindfulness, Psicólogo Online y etiquetada como ADHD, adolescents, ansiedad, Anxiety, attention, Brain, Brain Hemisphere, Children, Dr.Guilera, Dyslexia, focused attention, Impulsivity, inhibition, meditation, mind, Mindfulness, open attention, Stroop Test, sustained attention, TDAH, telepsicologiainfantil, Telepsychology.